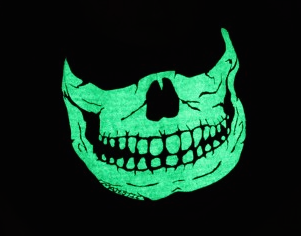 The new Majestic Fire Ink C6 hoods have an awesome glow-in-the-dark design that wearers love. The hoods' wider widths avoid fabric stretching while increasing air circulation to keep you cool. The C6's ample surface area helps to disburse moisture by evaporating it, which keeps you dry. 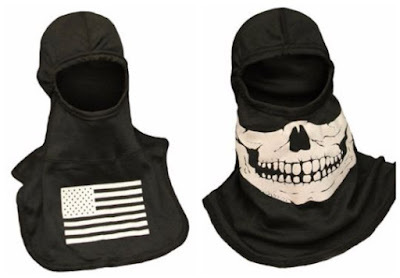 Both the American Flag design and the skull design hood are available in three different glow-in-the-dark options: green on black, orange on black, or blue on black. The C6 is the 4th generation of Advanced Carbon Technology. When exposed to flame, CarbonKnight fibers expand, creating an oxygen-starved environment so fire cannot continue. The material is self-extinguishing and inherently flame-resistant. Sewn with black nomex thread. Maintains protective properties after washing. To get your glow-in-the-dark Majestic hood, head on over to TheFireStore.com.